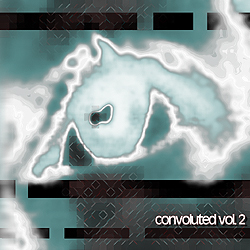 Controlled Dissonance returns with the second volume of the Convoluted series. Again mangling found audio in the form of recorded material from the Random release “With Our Eyes On The Future”, Controlled Dissonance brings to this follow-up of 2003’s Convoluted a new sense of restraint and a fresh approach to mangling possibilities along with a new set of convolution tools that contribute heavily to the unique sound. The end result is a 47 minute-long set of luscious dark ambient and soft noise carefully embellished with various field recordings.